Holidays are coming and so is my birthday in the beginning of January. 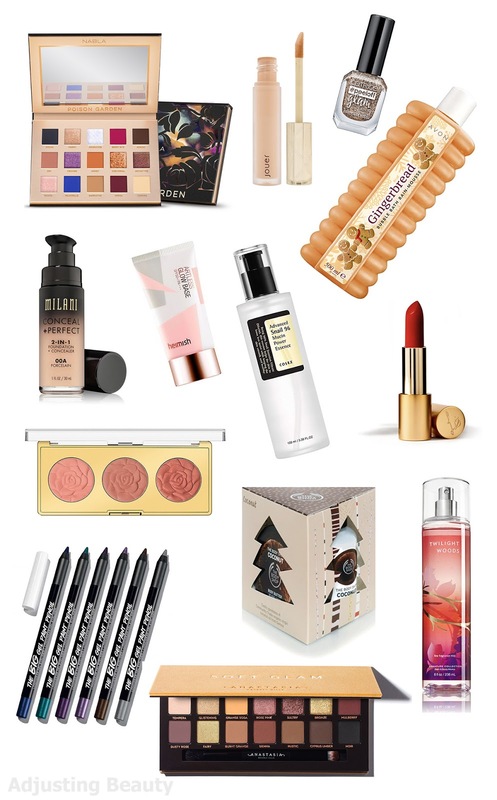 Usually, I buy all my makeup and skin care myself, but I have a wishlist on my Pinterest more as a reminder for me. It's also a good way of sharing what I'm currently liking with all of you. Maybe I'll give you some ideas on what to buy for your relatives and such. I even included links on where to buy it (more for Slovenia). It's mostly makeup, skin care, body care, fragrance and some other products as well. I have been trying out quite a few Korean skin care products and for the most part they don't disappoint. COSRX snail essence is one of those that has been on my wishlist for a while, but I just can't get myself to actually buy it. I've got some hyaluronic acid based essences, but I wanted something more potent to add for healing or better nourishment. I also wanted to use this on my eczema hands. I can only assume it would work great for that too. I once got a tester of this product and immediately fell in love with it. It's a very multi-functional product. This is luminous primer, highlighter and sunscreen all in one. I remember I was so in awe of how good this looked on the skin. It's one of those base products that just does it all. The price is hefty, but I would love to get a full size once. I actually tried tester of this shade and it fit me quite well. It could be just a tad warmer, but for the winter I could make it work. I liked good medium coverage of it and it seemed to wear nice too. I mostly just want it, because it's so light in shade and I wouldn't have to mix it with other shades for the winter. You know me, I also love a good coverage and this one gives it. I've heard some makeup artist rave about this foundation, because it's apparently buildable coverage and somewhat natural looking finish. I love their shade selection, because there seem to be a few lighter shades with different undertones. It's just ne of those affordable foundation options that caught my eye. At first it was Tarte Shape Tape concealer that had all beauty enthusiasts going, but it seems that Jouer stole the spotlight now. Apparently this has really good coverage and it doesn't crease which is all the reasons why I want to try it out. They also have fairly nice selection of shades. Milani blushes are well known among beauty lovers and I have one too, but not this rose design. I was so happy to see that Milani came out with a blush palette, because to be honest, I always prefer buying something with more color options. Floral Fantasy is one of those more peachy sets that I know I would use a lot. Formula is apparently really nice and the design is just so pretty. Around 15€, I believe it was available on Click2Chic, but now I can't find it anymore. I have theBalm's Mary-Lou Manizer and love its formula. It's one of those staples that has been around for a while now. theBalm came out with a four pan highlighter palette with Mary and Cindy-Lou Manizer, which are part of their regular range. But they've also added two new shades, Penny-Lou Manizer (what seems to be a lighter yellow gold) and Emma-Lou Manizer (pale cool silver). Judging by that Mary formula, this would be a great palette to have. Hourglass Ambient Lighting are one of those products that I admire every year as the holiday season comes along. They usually mix it up each year, but the basic concept is the same. 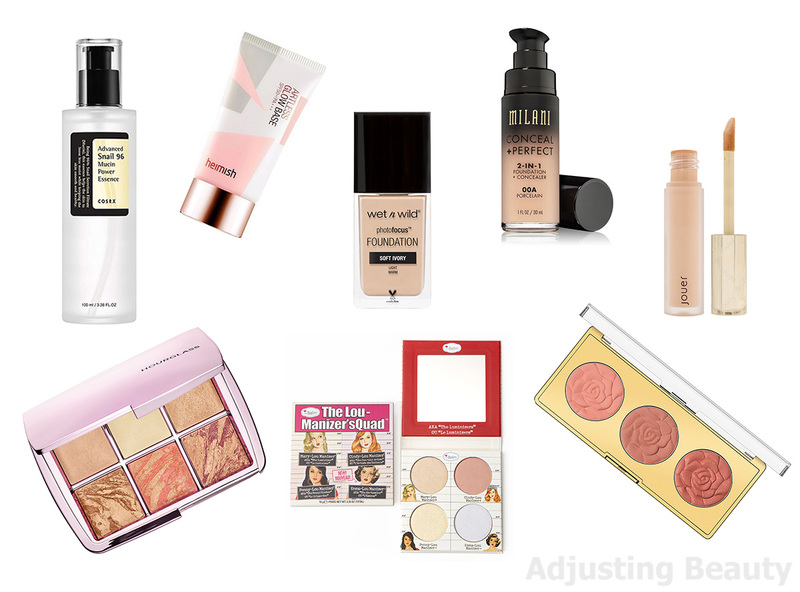 This year you get a bit of everything, powder, highlighter, blush and bronzer. I hear nothing but raves about their product formula and if I had the budget for it, I would definitely invest in one of those palettes. I thought I'll buy these during the black Friday deals, but I didn't. I have these two on my wishlist for a while. Radikal is a matte olive green which I'm sure would look so good on my olive warm skin tone. It would be great for all over the lid or in the crease. Circle is a matte mauve that is missing in my collection. I want a wearable mauve for all over the lid or again just in the crease. Nabla matte eyeshadow formula blends lovely and is nicely pigmented. This is one of those palettes that I just can't get out of my head. It's so basic in a way and that's exactly what I love about it. If I'm going to pay that much money for a palette, I want it to be neutral and useful on daily basis. It has a good range of basic matte browns and black paired with shimmery golds and bronzes. It's a more warm toned choice which is what I personally prefer. So many palettes look the same these days. It's rare to find something different. First there were gold and reds, now there are pink and the latest trend seems to be green. I love green eyeshadows and that is mostly the reason why I love Good Sport color selection. It's yellow, green, orange and purple, all my favorite colorful shades. This is definitely a more warm toned palette again, but slightly more colorful than just reds and oranges. Another one of those slightly different eyeshadow palettes is also Poison Garden. 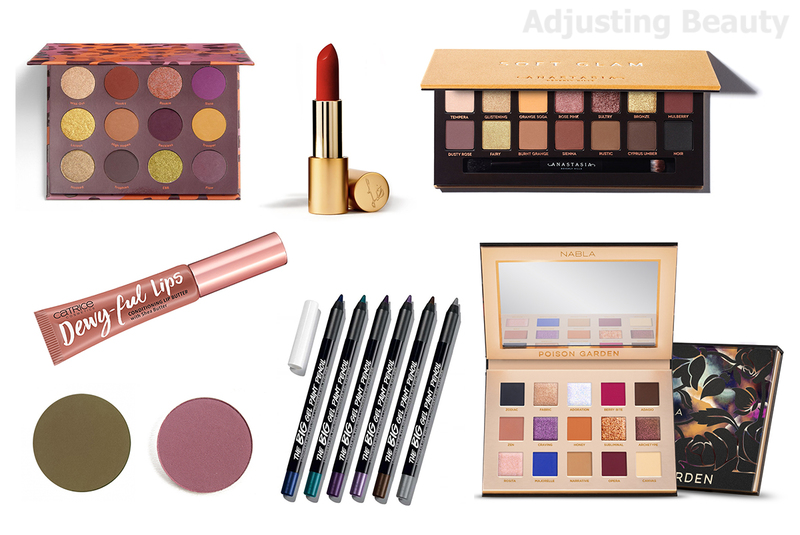 I like the unusual combination of darker colorful matte shades and bright shimmery shades. It's a more neutral toned, not typically warm, but also not completely cool toned. I especially like matte berry and emerald blue shade. But it also has enough of neutral mattes to make a whole look. I have a few single eyeshadows from Nabla and the quality is really nice. I have the old version of this in black and new in Rich Copper. This is ultra smooth gel liner formula in a pencil form. It's probably my favorite eye pencil formula ever. It smudges lovely, has enough play time and stays in place once it dries down. I would love to have all the shades from this collection, it's just such a nice formula. Catrice Dewy-ful Lip Conditioning Lip Butter - 040 Dew You Dare? I have a more peachy version of this in 020 Let's Dew This! and love it. 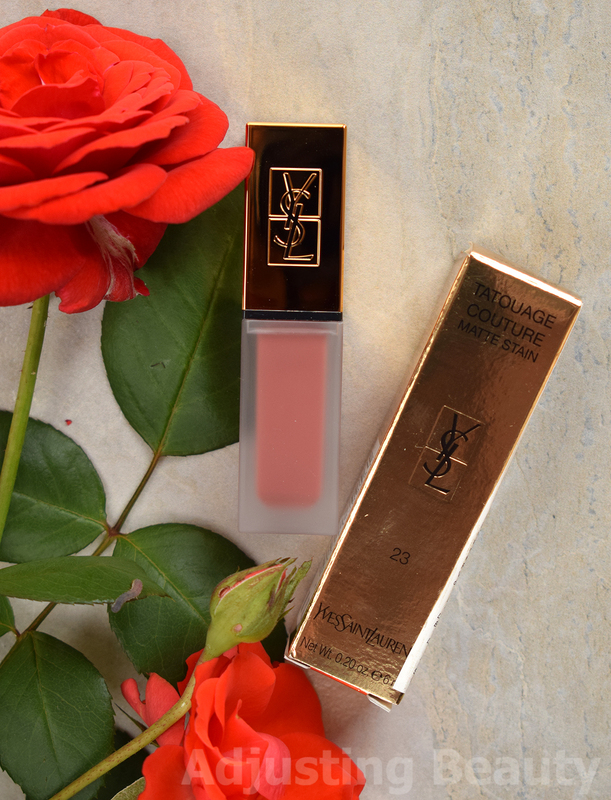 The formula is just so incredibly comforting on the lips. It's also well pigmented for such a shiny product. I would love to have this also in that more brownish shade. Lisa Eldridge is my favorite makeup artist. I love her work, style of makeup and the fact that she decided to share her skills with all of us on YouTube. She just came out with her line of lipsticks. So far there are only three holiday inspired red lipsticks with matte finish and they are limited edition. I chose to put Velvet Ribbon on my wihlist, which is classic neutral/blue red. She has worked with a lot of makeup brands in the past, so I'm sure this formula will be superb. As a huge fan of her, I would love to try at least one of these reds. I had the chance to actually smell some products in person for the first time from The Body Shop. Vanilla Marshmallow disappointed me. I expected something much sweeter. But I would love to have a gift set of all three holiday body butters. Their body butter formula is just great. I'm also a huge lover of Coconut, so I love anything coconut scented and their coconut gift set with shower gel and body butter sounds perfect to me. I already had many versions of these bubble baths. They smell lovely and create a good amount of foam. Most of their scents are usually floral, but these two stood out to me. Both are more of a holiday versions and by the name I think I would love both. Gingerbread for obvious reasons, because it smells like cookies and reminds me of Christmas and Apple Crumple apparently smells like apple pie, which I love. Mateja actually sent me tester once and now she hooked me up with even bigger bottle of this fragrance. It's just one of those that I can't get over. It's everything I love the most about perfumes in one fragrance - woody notes, vanilla, musk and coconut. This is the perfect cozy sweet oriental fragrance for those colder months. I would love to own a full size bottle. Avon added 5 new fall nail polish shades in their Gel Shine collection. Fall colors are my favorite and I love this formula from Avon. Two shades I especially like from this collection. Cinder And Ash looks like a greyish olive green. I love green nail polishes and some of the best shades in my collection are actually from Avon. Spilled Ink is this very dark almost black blue. I don't have anything like that in my collection and it looks perfect for fall. I have a more rose gold version from Essence and I love how nicely it peels off. It's as easy to remove as they say. I would love to have this more of a proper gold version from Catrice. It also seems to have bigger glitter. 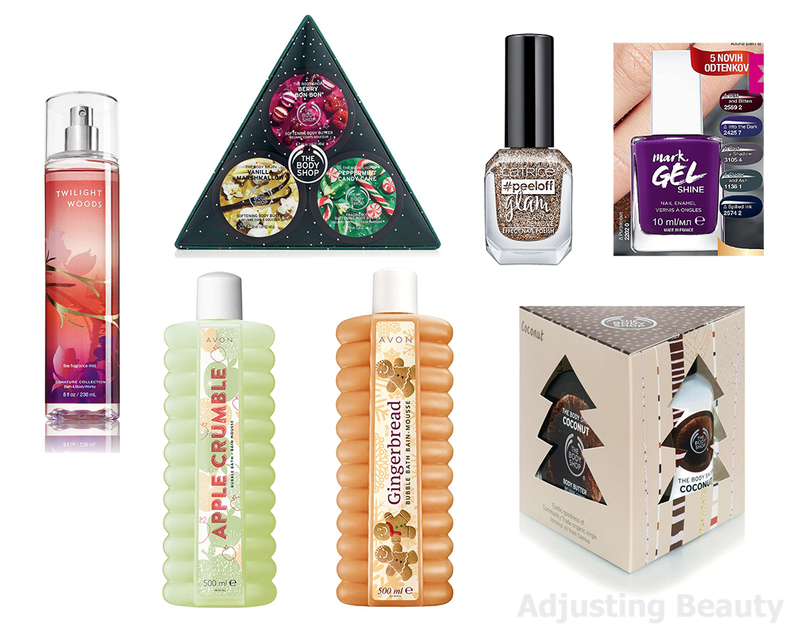 It's the perfect spice up for holiday manicures. I've seen some of Simon Sinek speeches on YouTube and I like what he has to say. His latest book is Together Is Better. I hear it has some great illustrations and it should also be perfumes. Interesting enough for me to put on my wishlist. I actually really like reading about zodiak signs and such. It's a fun way to explore your personality. 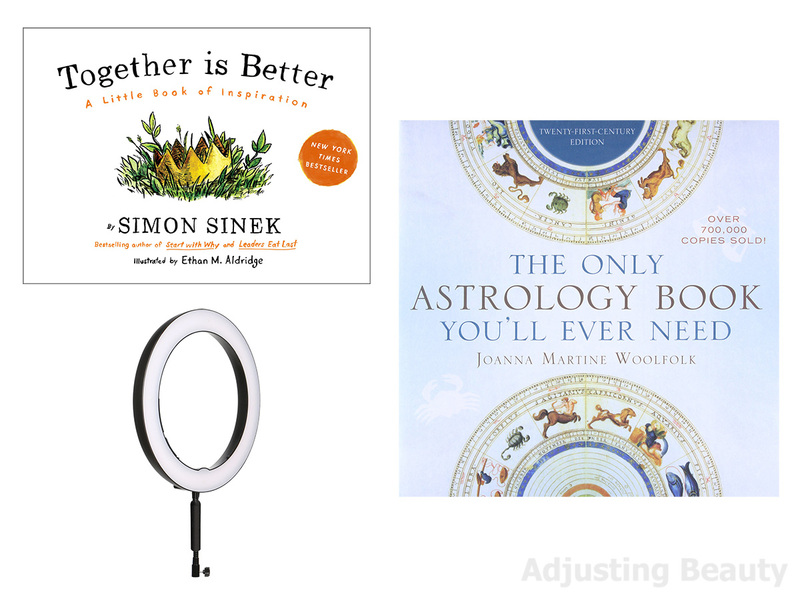 This is one of those book that apparently has everything you might need to know about astrology, so I think it would be a fun read. Probably the only thing from this list that I actually really need. I'd love to own a proper ring light, because it would make so much easier to take makeup photos in this cloudy weather. It has been extremely difficult to take photos of makeup lately. ABH ima super kvaliteto senčil in se splača investirati v njihove paletke. Jaz jih redko pospravim v predal in neham uporabljati za dalj časa tako kot nekatere. Glede na to, da sem že preizkusila nekaj izdelkov s polžjo slino, predvidevam, da bi mi odgovarjala. Ravno od tebe sem dobila še večjo vzpodbudo, da sem dala esenco na wishlisto :). Sem mislila že na Black Friday investirat v Soft Glam, pa na Beautybayu ni bila občutno znižana. Čakam na kakšno dobro akcijo :D. Odtenki so res taki, da bi jih vsak dan uporabljala. Nabla's palette is gorgeous! Although I actually thought it was going to have a completely different theme (I was expecting green instead of blue for example). But I'd get Soft Glam first, since it's something I could wear daily without much fuzz. I also almost got Colourpop's The Good Sport palette ( I might crave and get it in the future tho), but Give it to me straight palette caught my eye! I think we all had different colors in our minds by the title. But I actually like these colors just as well :). Agreed. 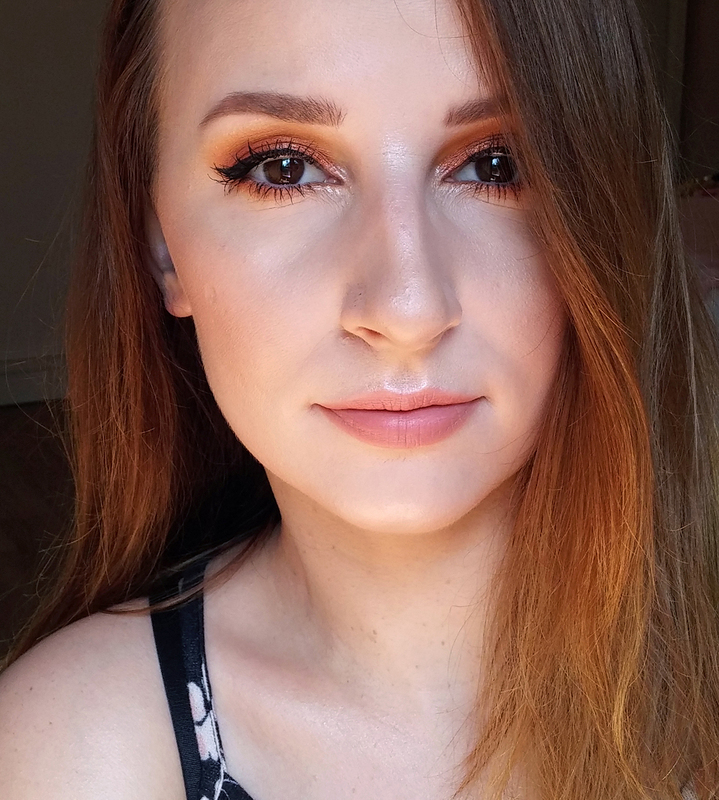 Soft Glam is definitely very wearable. I like Give It To Me Straight too, but I have She, which seems similar, so I didn't get that one. Good Sport is just different from all the rest that's why it appealed to me so much :). COSRX meni žal maši pore, ampak je top za pospešitev zdravljenja. Sončne opekline pozdravi zelo hitro. Na eBayu ga imaš za 15$, kar se mi zdi okej cena. Za kakšne mozolje bi bil torej idealen :). Moram očitno Ebay pregledat. Vsekakor ga bom kdaj v prihodnje naročila, samo čakam, ko malo spraznim moje skin care zadeve. Sem vedela, da boš ta dva podprla :D. Čudno mi je, da palete ni več na Click2Chic. Mogoče pa pride nazaj. Zadnje čase so mi palete za vse bolj zanimive kot samostojni izdelki.